At Jelson, our apprentices are extremely important members of the construction team. Every year, we look forward to helping more young people move on to the right path for hands-on learning, backed up by the theory that is offered by our partner - the Construction Industry Training Board (CITB). Our CITB partnership means that our apprentices gain the very best of both worlds - weekly classroom-based lectures by inspirational teachers at Leicester College and construction-site learning with our very own highly-skilled professionals. To discover more about some of our apprenticeship trades available, read the blogs below and watch our short video to see some of our apprentices in action. Now that I have gained my apprenticeship, the great thing about being a scaffolder is that I get to work outside much of the time. I am tasked with assembling safe scaffolding around the homes we are building so that my fellow construction workers can safely complete higher-level work. For anyone thinking of an apprenticeship in scaffolding, it is essential that you're not scared of heights because although we start assembling at ground level, we move up to higher levels pretty quickly! Scaffold is, essentially, a metal interlocked system and my job is to put all the pieces together to form safe working platforms. Often, the structures range in different sizes, so being competent in the assembly of the metal tubes that range in lengths, is all part of the apprenticeship. The construction team at Jelson rely on me to form a safe and effective work platform and being a key member of the team is what I really enjoy about the job. To me, brick laying is an art. Many people take the trade for granted but without skilled bricklayers - who have undertaken an apprenticeship - we wouldn't have houses. Having completed my apprenticeship with Jelson and achieved a NVQ Level 2 and 3, I am now pleased to be a part of the fully-fledged construction team. As part of my apprenticeship, I had to undertake practical and theoretical modules in erecting and setting out masonry structures in the workplace, stack and store resources and complex masonry skills too. It's great to have the apprenticeship under my belt with recognised qualifications and because we are building more homes, it's great to be able to say to friends and family that I helped to build this particular home or development. If you already have a construction-related apprenticeship and want to climb the ladder even further, then a trainee site manager role may be within reach. Having successfully gained a brick laying apprenticeship, I then moved into this role and I haven't looked back. f you're organised and like to see projects take shape, this is the role for you. 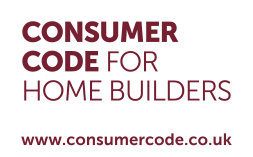 My day involves everything from ordering materials and organising and co-ordinating the build programme, to liaising with contractors and ensuring good health and safety practices.  The experience that I have gained from Jelson so far, together with my on-the-job training will one day equip me with all the knowledge I need to take control of my own site. You've seen our video and read through our trade blogs - if you are now sure what you would like to specialise in then click here to discover whether you are eligible to take the next step towards becoming a Jelson apprentice.